+1 for purple and lime green, only because it matches Bristol City's away kit though! I think yellow Pow, white arrow and skull might look good on the Blue. I tried out 2 different shades of green, lime and pale green. The pale green looks quite good, but is close to the purple pearl. The lime green is a better contrast, however it looks a bit too close to the yellow which is already light and I may as well leave them all white. Not that keen on the green but happy to paint set if I’m lucky enough to get some! In case I decide to not paint mine now, and change my mind later. would you mind telling us what color and brand of paints you use? P.S. I've always wondered how you matched the blue and yellow of the previous sets so well, did you use a paint matching service at a hardware store? It is spot on with the java client. Weird, thought I was tracking this thread, but something must have got messed up. I like the Lime color. 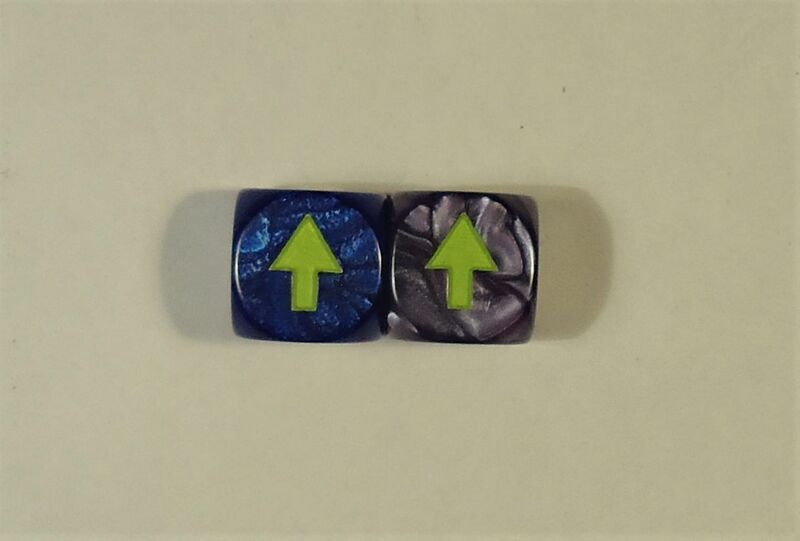 Appears to look best on the Blue dice. 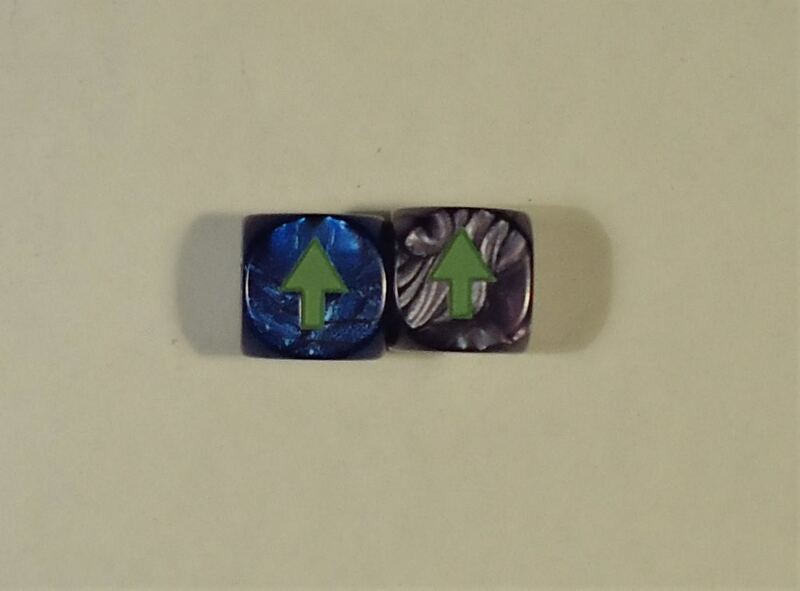 +1 on lime on the blue dice. Arrgh. Matching blues and yellows is a nightmare. I keep test painting a piece of armor, holding a dice face up to it, and am off just slightly. Dice are ready now, so giving notice for when they go on sale. That will be Friday the 24th August at 21:00 server time. I’ll follow the same process as last year where a new thread for orders is created at that time and will be open for 48 hours. I’ll then spend a couple of days working out who has got what and send out PM’s with full details and giving a week to pay. Something to add is that I have decided not to paint the blue or purple dice, I couldn’t find a scheme that looked better than the plain white. It is easy enough to paint them yourself though. I use GW paints and tend to be very messy since it is quicker. 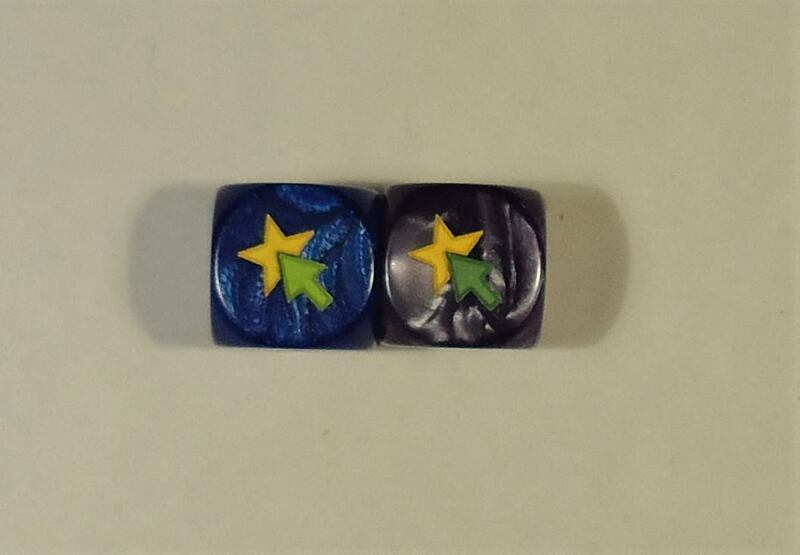 I then use my fingernail or a sharp knife to scrape off any excess paint that got on the dice face. Colours used were GW's - Flash Gitz yellow and Lothern blue though I added some grey and turquoise to the blue to get a closer match to the original kickstarter set. The official colours used in the image are from Valspar and are Gloss Gold and Gloss Exotic Sea. If you want lime green the Moot Green looks like a good match for the shade I used which was an ancient Gw paint called Bilious green. The colder green was Skarsnik Green. Just a reminder that the order thread will go up up tomorrow, just over 24 hours from now. Order thread is now up. Will be open until 21:00 server time on Sunday the 26th.